Sami might have come to the United States with nothing, but he entered with a huge piece of family history, and his grandfather Baba as well. After getting caught up in a crowd, Sami had his rebab, a traditional Afghan instrument, stolen as well as a piece of his grandfather’s heart. He finds the rebab at a local pawn shop with the help of his new friend Dan, but does not have the $700 to buy the stolen item back. Sami takes an unique route to earning the money — trades. Starting with a common Manchester United keychain that he traded for a broken iPod. By displaying resilience and working towards gaining a more valuable item with each trade Sami vowels to make enough money to get the rebab back. However, run ins with a hot head classmate makes Sami’s journey more challenging than it was intended. However, in the back of his mind Sami feels guilt for lying to his Baba about his plan to obtain the rebab back, which Sami blames himself for losing. Hearing the perspective of Sami, an Afghan survivor, offers insights into the challenges of a refugee fleeing persecution in his own country all the while holding loyalty towards his homeland. Hollingworth’s tale is a quest for humanity and friendship by exhibiting the traumatic realities of a refugee child. This middle grades book offers vivid descriptions of Sami’s highs and lows along the path. Sami is constantly reminded of the dangers from his previous life in Afghanistan as memories flashed him back to dangerous moments of his journey to the Unites States. Even though those dangers are not prevalent in his new home, he has terrible flashbacks of the civil unrest which is looming between Sami and his grandfather. Recommend: Yes, purchase this title for any middle school classroom. 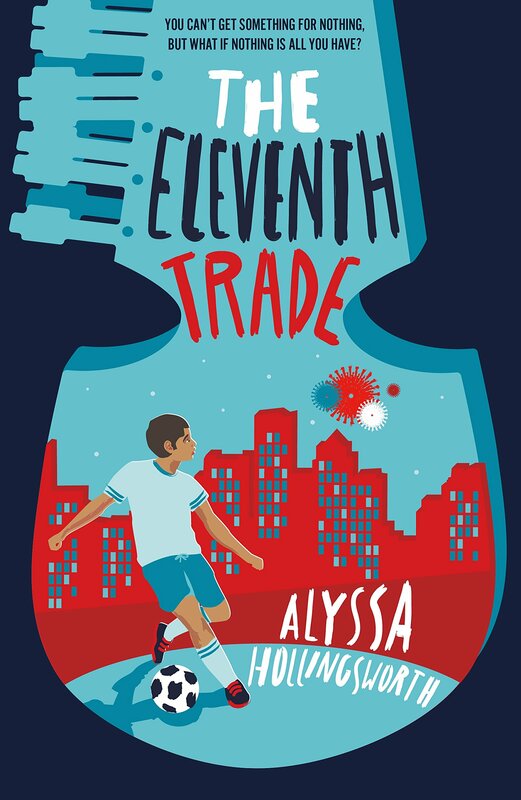 This entry was posted in Book Review and tagged Alyssa Hollingsworth, Middle School, Refugees, The Eleventh Trade. Bookmark the permalink.